Adopting a multidisciplinary perspective, this book explores the key challenges associated with the proliferation of cyber capabilities. Over the past two decades, a new man-made domain of conflict has materialized. Alongside armed conflict in the domains of land, sea, air, and space, hostilities between different types of political actors are now taking place in cyberspace. This volume addresses the challenges posed by cyberspace hostility from theoretical, political, strategic and legal perspectives. In doing so, and in contrast to current literature, cyber-security is analysed through a multidimensional lens, as opposed to being treated solely as a military or criminal issues, for example. 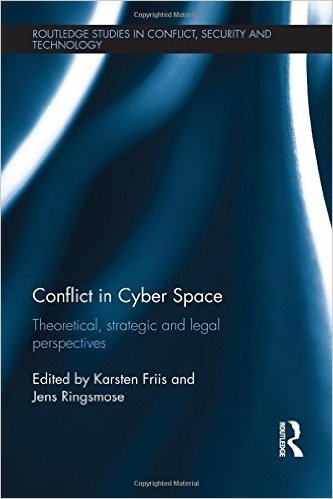 The individual chapters map out the different scholarly and political positions associated with various key aspects of cyber conflict and seek to answer the following questions: do existing theories provide sufficient answers to the current challenges posed by conflict in cyberspace, and, if not, could alternative approaches be developed? ; how do states and non-state actors make use of cyber-weapons when pursuing strategic and political aims? ; and, how does the advent of conflict in cyberspace challenge our established legal framework? By asking important strategic questions on the theoretical, strategic, ethical and legal implications and challenges of the proliferation of cyber warfare capabilities, the book seeks to stimulate research into an area that has hitherto been neglected. This book will be of much interest to students of cyber-conflict and cyber-warfare, war and conflict studies, international relations, and security studies.